Carshalton Rifle Club – Scroll to find out more about membership, facilities, and how to contact us. Carshalton Rifle Club is one of the leading target shooting clubs in London with a wide range of activities and shooting disciplines available to our club members. 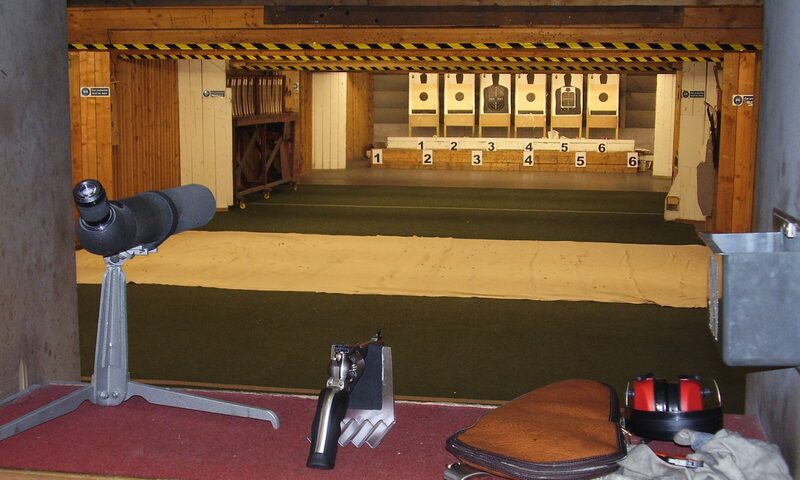 Our club house and indoor range is open all year round and it’s possible to shoot five days a week. There is a style of shooting to appeal to just about everyone, ranging from air pistols through to small-bore and full-bore rifles. The aim of our club is to promote the sport of Target Shooting within the UK, and as such, we welcome inquiries from anyone with a genuine interest in taking up the sport. Within our club, we have members with a wide variety of skills and interests. Adding to this, we actively promote internal and external competitions as a way of improving a shooter’s skill – but the emphasis is on enjoying the sport! Our club is growing, and our membership is expanding to even more groups of people – our average member’s age has been steadily falling and now sits at around 35. We are Carshalton Rifle Club, a Community Amateur Sports Club based in the heart of Surrey. We are open five days a week throughout the year, meaning that it is possible to shoot a staggering 296 sessions a year, when combined with the sessions that take place at the ranges at Bisley for full bore and muzzle loading pistol. Historically, our club can trace its roots back to 1862, when it was formed as the Carshalton Detachment of the Surrey Rifle Volunteers. In 1908, these volunteers became part of the Territorial Force, and a drill hall and miniature rifle range was erected in The Square, Carshalton, as the unit headquarters. The unit registered with the Society of Miniature Rifle Clubs and, until the outbreak of the Great War in 1914, enjoyed many successes in competitive small-bore rifle shooting. Many of the members saw active service with the regular army, as well as providing instruction and advice to the various Local Defence Leagues set up in 1914. The Territorial Force was disbanded in 1916, but the club still continued their activities in The Square, until the British Legion was formed after the war. In 1922, the club renamed itself the “Wallington British Legion Rifle Club”, and operated under that name until the outbreak of World War II in 1939. Like many other Legion clubs, the club premises was offered to the government as a base for the newly formed Home Guard, and the club name was changed to the “Wallington and Carshalton H.G. Rifle Club”. With the disbandment of the Home Guard, the club still retained their name until 1948, when the British Legion’s policy of only allowing ex-servicemen to belong to the organisation, it was decided to form a separate club to accommodate the people who had not seen regular military service, the name chosen for the new club being Carshalton Rifle Club. The two clubs continued their activities at the range in the square until 1968, when the British Legion Club disbanded, due to a fall in membership. We moved to our current range in 1973 and have gradually developed and added to the original club house.